Join us as we welcome Wright State University Alumnus, Ann Weisgarber, as our luncheon speaker. 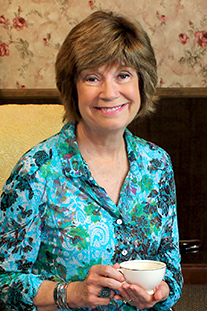 Ann is the author of three historical novels, The Personal History of Rachel DuPree, The Promise, and The Glovemaker, which will be published in early 2019. Ann will discuss the importance of libraries and archives in a writer’s research process, sharing examples from her three historical novels. More information on the luncheon will be posted after the new year. Check our Friends of the Libraries website for more information.